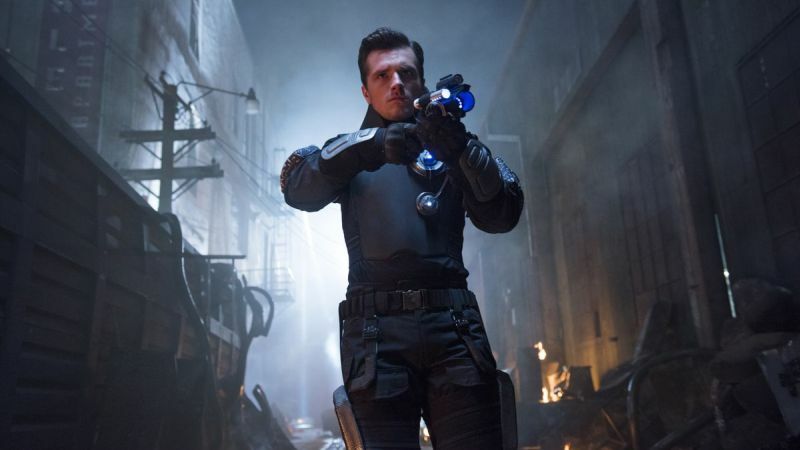 Good news and bad news for fans of Hulu’s Future Man series. According to The Wrap, the sci-fi comedy has been renewed for a third season. Unfortunately, this will also mark the last season for the show — and will feature just eight episodes, compared to the 13 granted to Seasons 1 and 2. Executive produced by Seth Rogen and Evan Goldberg (Preacher, Sausage Party, Superbad, Knocked Up), Future Man follows a janitor by day/world-ranked gamer by night who travels through time to prevent the extinction of humanity after mysterious visitors from the future proclaim him the key to defeating the imminent super-race invasion. Josh Hutcherson (The Hunger Games) stars as Josh Futterman, an uninspired and dejected gamer who quickly becomes earth’s unlikely hero. The series also stars Eliza Coupe as Tiger, Derek Wilson as Wolf, and Haley Joel Osment as Stu Camillo. It’s created, written, and executive produced by Kyle Hunter and Ariel Shaffir (Sausage Party, Preacher). Matt Tolmach, James Weaver, and Ben Karlin also serve as executive producers. Season two picks up in 2162, and Josh, Wolf, and Tiger learn that their season one mission to stop the cure from getting out didn’t work. In this timeline, Stu Camillo is now in power, having created the cure, and launched a plan to relocate humanity to Mars. A shadowy organization called the Pointed Circle seeks to recruit Josh to take Stu down — but are they the good guys, or is Stu? As Wolf quickly acclimates to the strange customs of this time, Tiger struggles with her Biotic identity and searches for an escape. Josh unites the team in an epic plan to save the world, but their time-traveling catches up to them, and they must reckon with their choices and what to do next. Future Man Season 2 is currently available on Hulu. The post Future Man Renewed for Third and Final Season appeared first on ComingSoon.net.